There’s a growing trend of sports media outlets expanding coverage into areas beyond the field, with coverage of athletes’ shoes and clothing particularly important there, and also a growing trend of media outlets hosting events. Bleacher Report has been doing sneaker and lifestyle coverage for two years under the B/R Kicks vertical and has also gotten heavily into events, doing six this year alone. 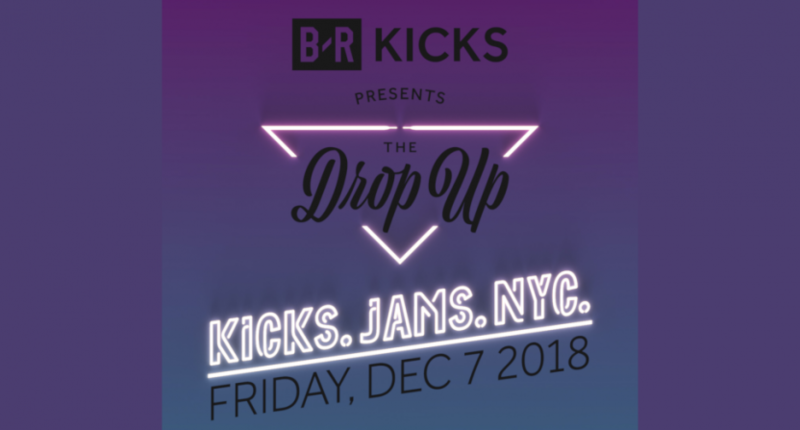 The latest is Friday’s “The Drop Up” in New York City, which has a free fan experience from 1 to 9:30 p.m. and then a VIP afterparty, and is presented as a way for fans to experience some of the latest in sneaker culture. B/R chief revenue officer/chief marketing officer Howard Mittman spoke to Awful Announcing this week about this event and the larger strategies with B/R Kicks and events, and said their decision to get into sneaker coverage was because it seemed like something many sports fans wanted more of. Sneaker coverage is a crowded field, though, and Mittman said it can be tough to stand out from the pack. But their goal is to do so by focusing on coverage accessible to everyone, not just those who have been following sneakers forever. He said events like The Drop Up are an important way not just to promote B/R Kicks, but to give their coverage a physical presence. That then translates back into digital with their coverage of the event for those who can’t attend in person, and Mittman said that’s what makes B/R events (which B/R chief brand officer Ed Romaine cited this week as a key part of their 44 percent year-over-year revenue growth) stand out from others. As per The Drop Up itself, Mittman said there will be plenty of elements for attendees to check out (and it’s notable that special events like one-on-one master classes and the VIP afterparty will have some attendees selected to join, part of their goal of making this world more accessible). Mittman said the sponsorships here also illustrate that it’s not just about the bottom line (he previously told Variety‘s Todd Spangler that B/R Kicks will make “more money from the Drop Up event than it has in its entire existence”), but about partnering with companies that fit in this world. More information on The Drop Up can be found here.